Buma Classical Convention is a one-day event about classical music. A conference on October 13th at a beautiful location: TivoliVredenburg in Utrecht (the Netherlands). During this day music, meetings and inspiration will come together in many showcases, conversations, pitches and best practices. 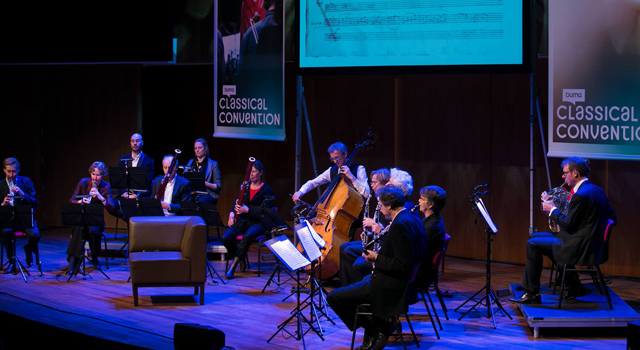 Buma Classical Convention sprung from an urge and the need to innovate, inspire, strengthen and (internationally) promote the Dutch and Flamish classical music industry. Not only within the industry itself, but also amongst the audience and all possible stakeholders. Buma Classical Convention, therefore, is for everyone who takes an interest in classical music. Whether it’s a passion or a profession. From composer to marketeer, from record industry to orchestra director, from programmer to politician and from musician to festival goer. Buma Classical is an initiative by Stichting Buiten.Gewoon.Klassiek and Lustr bv. Partners of the event are main sponsor Buma, TivoliVredenburg, Klara, 24classics, Kunstenpunt and Gemeente Utrecht.